Sam Seaborn (or Aaron Sorkin) said it in 1999: “The next 20 years will be about privacy.” So it’s not surprising that serious authors will tackle the issue, as Dave Eggers has now done in The Circle. The eponymous company in The Circle is quite obviously Google, or a successor to it. It dominates the internet and begins to dominate the world. Its name is apt, for the purposes of a book if not a real company: the Circle is closing in on us, one ring to rule them all, as it were. Much discussion of the book has consisted of a misguided complaint that it lacks authenticity. Critics have made the absurd argument that because Eggers is not an insider it is not a valid portrayal. The complaint appears to be that he has not faithfully represented the internet, or Silicon Valley, as they exist (or are perceived to exist) today. This Wired review misses the point entirely. In his desire to create a world where The Circle rules all, Eggers creates so many extremely unlikely or outright impossible scenarios that happen simply because he needs them to happen. As they stack up through the course of the book, it gets harder and harder to take it seriously even as satire until finally it becomes outright fantasy, with only a tenuous connection to reality as we know it. It is true, to an extent, that some things happen because Eggers needs them to happen. Call it artistic licence or call it deus ex machina: an author is entitled to move a plot forward. Wired want a book about technology, which The Circle is not. Neither is it quite true that the book strays into the realm of fantasy; but even if it did, is that not a valid way of exploring the issues raised? It’s not clear whether The Circle is intended as a satire of the present or a dystopian vision of the near future. Eggers’s writing is so fluent, his ventriloquism of tech-world dialect so light, his denouement so enjoyably inevitable that you forgive the thin characterisation and implausibility of what is really a clever concept novel. The Circle is not great literature. But it is a great warning—one that you’ll be hearing a lot more about. The book is not interesting because of its prose or its authenticity: it is an allegorical tale, “a clever concept novel”. The allegory is not subtle and the tale is not particularly inventive, but nevertheless, even where the plot seems to overstretch, such as in the messianic monologues of The Wise Men, one does not have to go far to find similar statements and ideas already out there. This is a philosophical battle. Zuckerberg thinks the world would be a better place—and more honest, you’ll hear that word over and over again—if people were more open and transparent. In The Circle, it is as if Eggers has taken this quote and run with it. The book merely ties together a few strands that are already hanging out there today and develops them to a reasonably logical conclusion: how would people behave following a period of sustained erosion of privacy, cataloging of all information and aggressive privitisation or outsourcing of public services? Zuckerberg, according to some, doesn’t believe in privacy. His response? Zuckerberg defended the change — largely intended to keep up with the publicness of Twitter, saying that people’s notions of privacy were changing. There are, generally, two primary ways the situation is currently viewed. In Zuckerberg’s articulation we have voluntarily modified our behaviour and our expectations of privacy. On the opposite end of the spectrum, as recently articulated by Eugene Kaspersky at the Dublin Web Summit, privacy can never be guaranteed online so you modify your behaviour accordingly. Either way there is grim inevitability. “There is less and less privacy now. Fifty years ago, if governments and private companies were watching peoples every move there would have been huge protests,” he added. A speaker at the same event pointed out that, despite the Snowden revelations, “nobody seems to care”, a view which arguably supports Zuckerberg’s vision of privacy. In The Circle, the ability to modify behaviour and maintain privacy is challenged as the Circle closes in on everyone. Mercer, the totemic refusenik of the book, tries to live outside of the Circle and, in partly comic fashion, it closes in on him too. Google’s long-stated aim has been to make the world, not just the internet, searchable. This can be achieved only by putting more information online and Google have been active in digitising libraries and cultural institutes to that end. Add in years of your emails and documents and they range of analyses they can perform are significant. The book addresses the issues raised by the digitisation of old information. as time passes the relevance of a person’s previous convictions diminishes to the point that they should be ignored. Should a similar principle be said to exist in relation to information? Data protection law already requires that personal information should not be kept for longer than necessary; but how long is that? If you set up a Bebo account in 2005 which is now dormant but you have never deactivated it, at what point should there be an obligation on Bebo to shut it down and remove your photos from public view? At present, the European Union is preoccupied with “right to be forgotten” which, in The Circle, becomes the stated “right to disappear” of a high profile objector. The Circle addresses, but does not fully confront, the manner in which the new global surveillance society is coming about: as a trade-off. You exchange your personal information for useful “free” services. You exchange your personal liberties for useful security services. The book presents the ultimate trade-off: what would you trade to stop child abduction? Elements of The Circle that seem fanciful, such as politicians and individuals becoming “transparent” by voluntarily wearing webcams which broadcast at all times, seem less preposterous as technologies like Google Glass emerge. Adrian Weckler, reporting on the Web Summit, recently ran into Robert Scoble roaming the RDS wearing Google Glass. He mentioned, in jest, that you could not be sure if he was recording you or not. If you have something that you don’t want anyone to know, maybe you shouldn’t be doing it in the first place, but if you really need that kind of privacy, the reality is that search engines including Google do retain this information for some time, and it’s important, for example that we are all subject in the United States to the Patriot Act. It is possible that that information could be made available to the authorities. The “nothing to hide, nothing to fear” argument is Orwellian, oppressive, ridiculous and easily debunked. But it persists. Schmidt suggests privacy is some personal foible or luxury that you might unreasonably insist on, not a basic human right which, by the way, is enshrined in numerous laws. An interesting aspect to corporate attitudes to privacy is the reaction of Google and others to the Snowden revelations. Google and Facebook believe you should be transparent, that you should put as much as your life online as possible and open that up to as many people as possible while also allowing them to analyse the information and your interactions with others. But when it is revealed that the NSA may be carrying out some analyses of their own by using backdoors to their systems, it’s a different matter. “We have long been concerned about the possibility of this kind of snooping, which is why we have continued to extend encryption across more and more Google services and links, especially the links in the slide,” he said. So, Google’s chief legal officer says they don’t provide access to their systems. But just a few years ago, pre-Snowden, Google’s then-CEO warned that information retained by Google could be made available to the authorities. They want to ensure that your data is protected from others, but not themselves. I really urge everyone to take note of, and stand against, what I and others have written about for years, but which is becoming increasingly more threatening: namely, a sustained and unprecedented attack on press freedoms and the news gathering process in the US. That same menacing climate is now manifest in the UK as well, as evidenced by the truly stunning warnings issued this week by British Prime Minister David Cameron. Attacking press freedom attacks the citizen’s ability, and right, to know what is going on. Transparency is for Us, it seems, but not for Them. 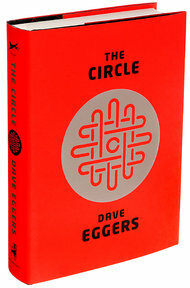 When I finished reading Dave Eggers’s chilling and caustic novel, The Circle, I felt like disconnecting from all my online devices and retreating for a while into an unplugged world. I gather that’s what he had in mind. I didn’t have that reaction. Rather, I was angry at the reaction of publications like Wired who so easily dismiss it. We have already sleepwalked into an era of eroded privacy and astounding information storage. It is not at all unlikely or impossible that the trend will continue. There have been a number of horrific privacy breaches over the past years that should make people question the extent to which they engage with online services or which might have led to changes in those services, but it hasn’t happened. Sometimes a work of fiction is needed to allow people to think about these issues outside of the dense worlds of tech and law. Well done a fascinating review on a book but more importantly your blog is thought provoking about the way people’s privacy has been freely given away by them over the last few years. Is it high time that we all abandoned/boycottrd all these Googles, Facebooks and Twitters, etc. ?